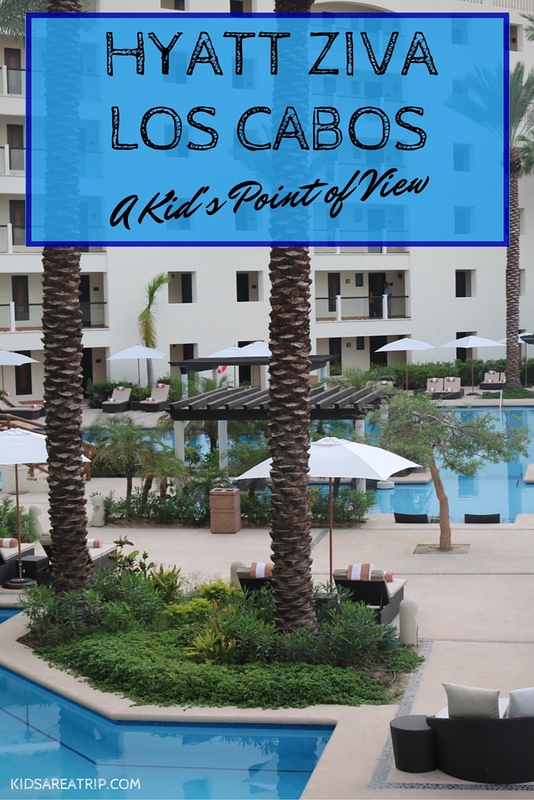 Hyatt Ziva Los Cabos looks different from a kid’s point of view. The resort is no longer a playground for adults, but a playground for children of all ages. There are swimming pools, a beach, a kids’ club, and activities, but the fun doesn’t stop there. In fact, it’s only the beginning. 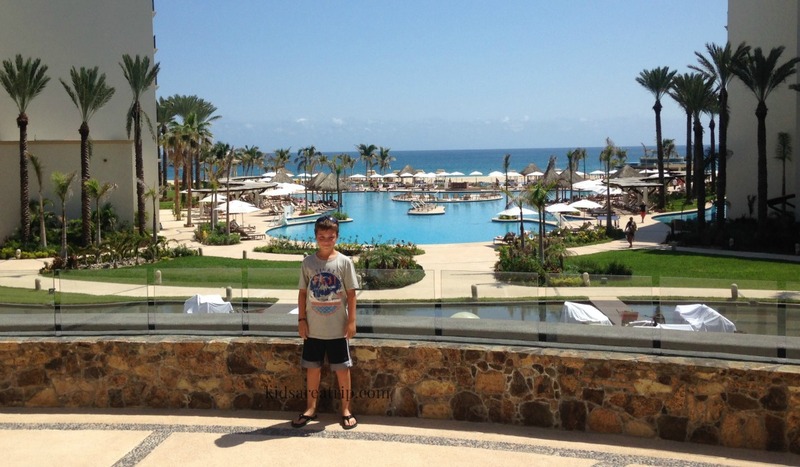 Hyatt Ziva Los Cabos is one of the most beautiful places I have ever visited. Upon entering, the thing that catches your attention is the view. Not only is there a pool below, but there is the ocean beyond that. 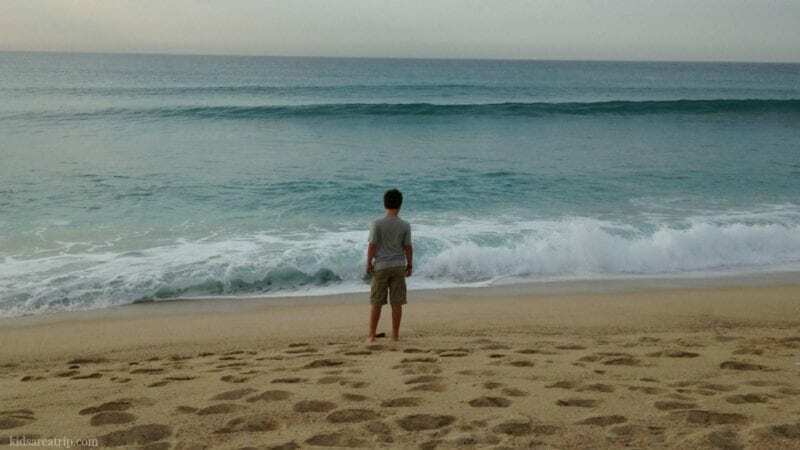 It’s beautiful to see the ocean and hear the waves crashing against the sand. In the background you can hear the people at the resort enjoying themselves and you know you are going to have a good time. 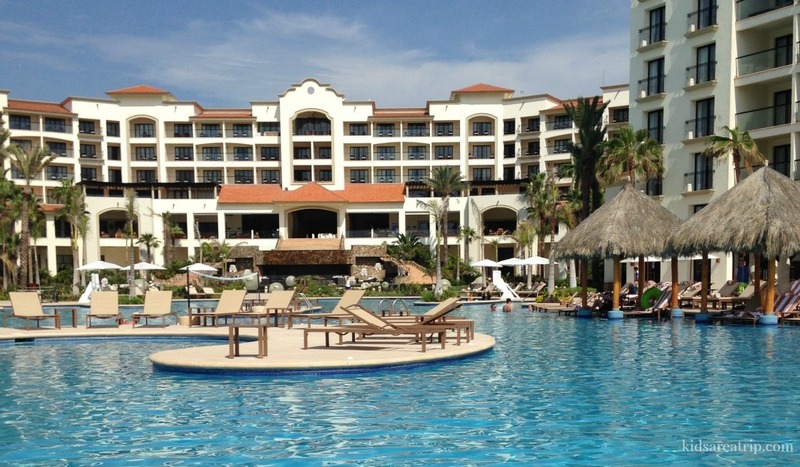 My mom and I went to Hyatt Ziva Los Cabos for five days and I had the time of my life. I met people from around the world, tried new foods, experienced new things, and learned about a new culture. It was terrific from beginning to end. 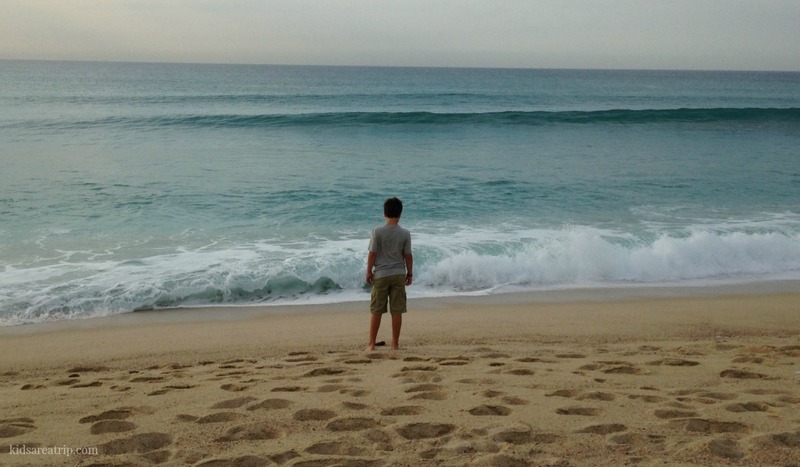 When I first arrived, I didn’t know if I was going to like the resort because it seemed I was the only kid there. I mean, the room we had was large with this awesome Jacuzzi tub and a balcony overlooking a sparkling pool, but the place was full of adults. There were probably a hundred adults and one kid: me. My luck changed when I went to the pool and met another boy who happened to be my age. We had lots of fun shooting hoops and playing volleyball that first afternoon. Every time we would see each other at the resort we would wave and say hello. We spent another day swimming, playing soccer, drinking smoothies, and relaxing in the Teen Club. Usually I have my brothers with me when we travel and we are always doing fun things. It was nice to have someone my own age. I loved hanging out at the pool! The one thing I loved about the Hyatt Ziva Los Cabos was the food. There was an endless amount and I could eat all day and night if I wanted to! There was every type of food I could dream of, including Italian, French, Japanese, and of course, Mexican. There was a large breakfast buffet and I had cupcakes every morning (thanks mom)! There was even 24 hour room service. 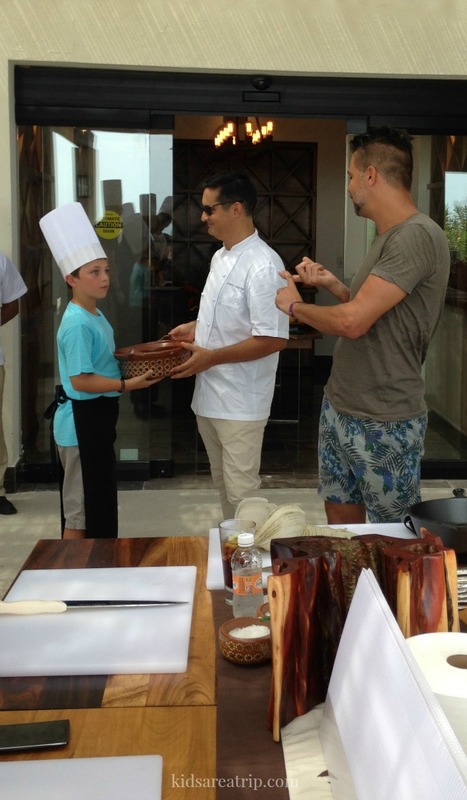 One day the resort held a “Top Chef” like competition and we got to make our own lunch. That was a lot of fun. Another day we went to the Good Taste Series and I got to help judge the cooking competition with one of the guest judges, Angelo Sosa. He is super nice and funny. He also taught me a lot about food. My favorite restaurant was Zaffiro, the Italian restaurant on the beach. I got to make my own pizza, which they cooked in an outdoor brick oven. It was delicious. I got to be a sous chef! Hyatt Ziva has two main areas for kids to hang out. One is the Kidz Club and the other is the Teen Club. The Kidz Club is for younger children, ages four to twelve. The facility is nice and clean, but the place is small and could get crowded if there are too many kids at once. The toilet area is very tiny and the toilet is too small for big kids. It was very awkward to use. I was there by myself for awhile and played board games with the counselor. We had a lot of fun and she called me the “Champion of All Board Games.” Later, we had four other kids come and join us. We played Xbox and Pictionary together. We were supposed to play soccer, but it was raining. I was having so much fun I didn’t want to leave when my mom came to pick me up, so I stayed a little longer. I won some squirt guns as prizes for being the board game winner and that was really cool. I left before they started Spanish lessons because I already know Chinese. 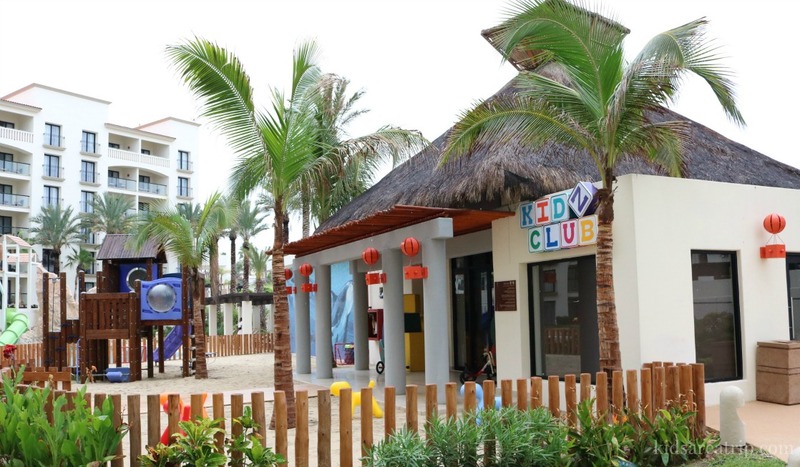 The Kidz Club is right next to the kids water play area, which is perfect! The Teen Club is a place I would want for my basement. There is everything a kid would want. There is shuffleboard, ping pong, foosball, two pool tables, air hockey, video games, and a giant television. There are also some comfy beach chairs and a couch. This is the perfect place for hanging out in the evening or on a rainy day. One thing I was disappointed about was not being able to go swimming in the ocean. This was a bummer because I really like the beach and when I see the water I want to go in the waves. There was a black flag on the beach which means swimming is prohibited. I kept hoping the flag would change colors so I could swim, but my mom said that wasn’t going to happen. We got to walk in the sand and look for shells and sea glass but I still wanted to go in. It’s hard to resist jumping in and swimming around. Overall, I would say my time at the Hyatt Ziva Los Cabos was a success. 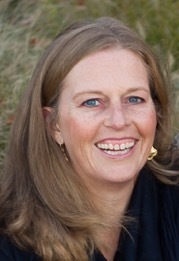 My mom and I spent some quality time together that we wouldn’t normally have at home. I missed my dad and my brothers, but I am so thankful and grateful we got to make memories I know I will keep forever. 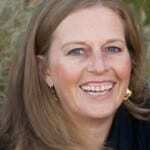 *As reported by @KidOnATrip to his mom, Kirsten Maxwell, Teaching Traveling Mom.